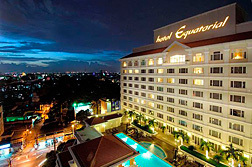 Omni saigon hotel - Ho Chi Minh City, discount rates at Omni saigon hotel. 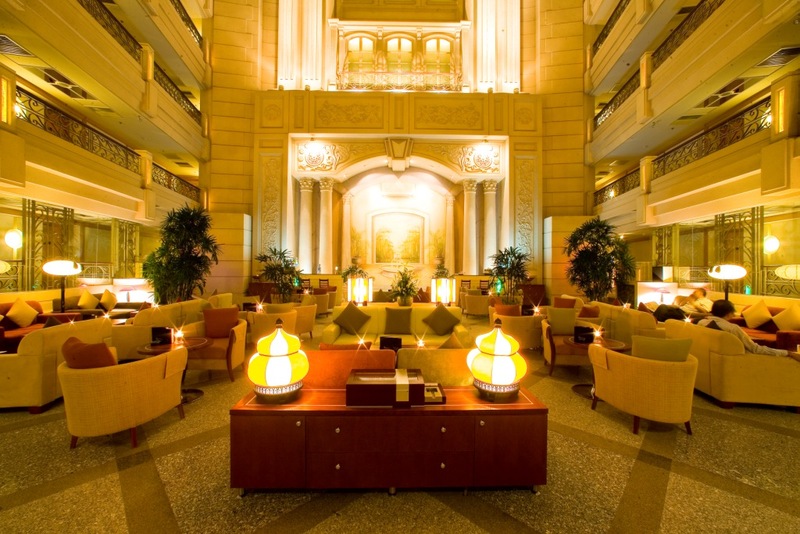 Marco Polo Omni Saigon Hotel Ho Chi Minh is one of the few truly majestic hotels in Saigon, Vietnam. 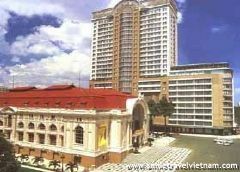 Marco Polo Omni Saigon Hotel Ho Chi Minh is a heritage hotel that has few rivals to its majestic appearance and grandeur. 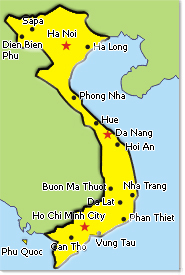 Conveniently located in the Phu Nhuan district of Ho Chi Minh City, still affectionately known by many as Saigon. 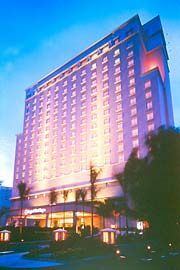 The hotel features deluxe accommodations, with an average room size of 30 square meters, designed to facilitate all the needs of discerning business and leisure travelers alike. 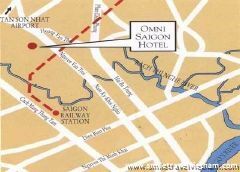 Omni Saigon Hotel, Vietnam, is conveniently located in the Phu Nhuan District of Ho Chi Minh City, still affectionately known to many as Saigon. 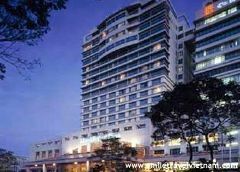 The hotel is only five minutes' drive from the city's Tan Son Nhat International Airport and fifteen minutes' drive from the city center. 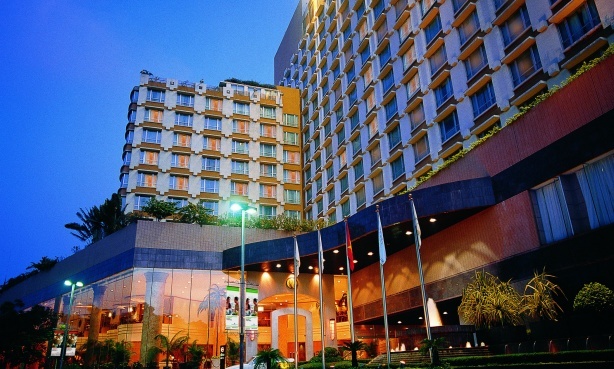 Omni Saigon stands with 248 guestrooms with categories ranging from Deluxe rooms, Suites and Apartments. Deluxe rooms have a size range of 28-37 square metres and has a bed configuration of twin or king while the suites are spacious 40 - 43 square metres and configured with a king size bed. Both can accommodate additional bed and sleeps up to 3 persons. All rooms, Suites and serviced Apartments are equipped with an executive-sized desk, IDD telephone, minibar/refrigerator, coffee and tea making facilities, remote control colour television, music channels, satellite television and in-room safe. Facsimile machines are available in selected rooms. Continental Club Floor situated on the 7th floor comes with private check-in/out, personalised service, exclusive Club Boardroom, use of Executive Club Lounge for complimentary canapes, cocktails and breakfast and business facilities. Families with small children can take a rollaway bed for free, an extra bed will be charged for but includes breakfast for one child. 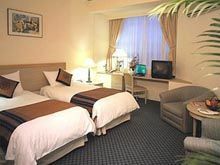 Non-smoking rooms are also available for special guest requirements. 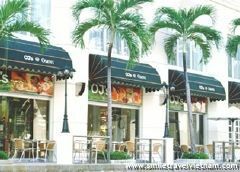 Located on the ground level adjacent to the lobby, Cafe Saigon seats 154 diners and offers a la carte Asian and international cuisine. 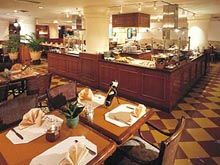 Popular for its breakfast, lunch and dinner buffets with teppanyaki-style action counter and a wide selection of legendary French-style and Italian breads. Innovative and interesting dinner theme takes center stage (from Thursday to weekends) offering a delectable choice to suit all tastes and discerning palates. Decorated along the uncluttered Chinese lines of a mandarin's house with deliberately simple and understated decor yet formal in ambience, Lotus Court presents fine Cantonese cuisine prepared by master chefs from Hong Kong. Serving only the freshest seafood and other ingredients cooked in the healthiest style (without MSG) and presented on fine bone chinaware, Lotus Court boasts a modest seating capacity of 124 and is ideal for both business entertainment and social gatherings. Private dining rooms are also available. 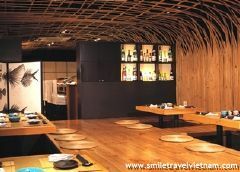 One of the best Japanese speciality restaurant in Ho Chi Minh City and recently renovated with a traditional country style setting. Showcases a wide variety of Japanese food including Sushi and Teppanyaki bars and features seasonal and traditional specialities. Unrivaled Californian creativity, serving fresh juice blends, selection of coffees and teas, healthy sandwiches, wraps and variety of freshly baked breads, cakes and pastry items. The deck is the place for drinks, ice cream and light fare. Lazing around for dinner is complemented by the view of Saigon by night. The sundeck is also a perfect place for private barbecue parties and Vietnamese theme dinners. Seating capacity is 86, weather permitting. Irish pub with a refined "club" atmosphere. Serves an extensive list of drinks complete with hearty pub grubs and golf inspired menu. A perfect place to get together and happy hour is a must! Pool table and al fresco beer garden are also available. 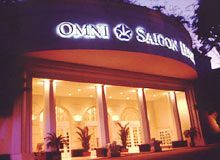 From banquets, weddings, grand celebrations and conferences to intimate seminars, business meetings and private dinners, Omni Saigon Hotel can cater to all your needs. An experienced banquet team is on hand to plan and organize every event from a theme party to a private meeting or business dinner, within or outside the hotel. 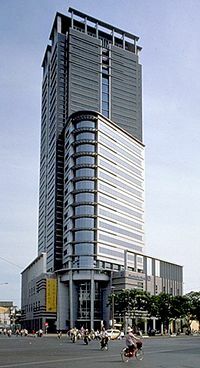 Typing, photocopying, telecommunication, translation, word processing, workstations with personal computers, mobile phones, e-mail and Broadband internet services are available at a charge. The Health and Fitness Center include a well-equipped gym with Startrac Treadmills, Stair Masters, HRT 2000i Bikes, Elliptical Machine, Body Master Equipment, sauna, steam room, and swimming pool. Professional trainers are on hand to schedule workout programs and provide tips on healthy living. 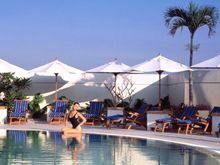 The hotel's outdoor swimming pool, located on the 3rd floor, is exceptionally inviting on a sunny day in Saigon. The Continental Club is a firm favorite among frequent travelers and executives visiting Ho Chi Minh City. 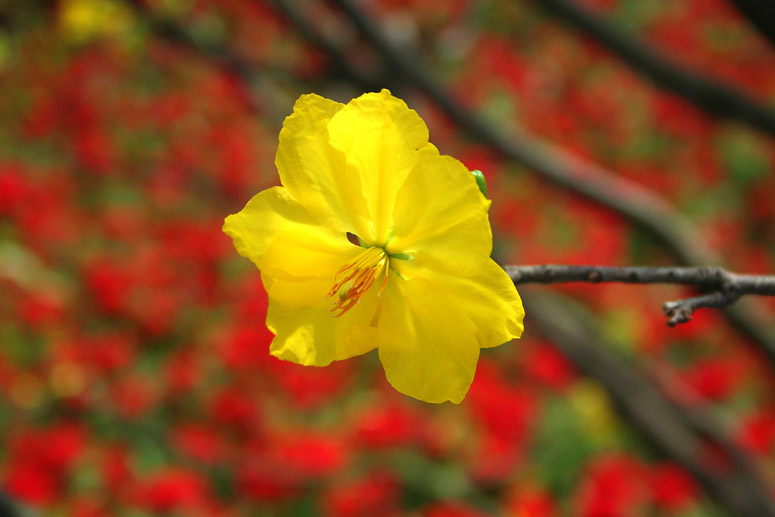 One can experience the ultimate in accommodation, facilities, service and privacy. Situated on the top floor, guests enjoy a vantage point to panoramic views of the city from the private Club floor lounge. Natural light floods the lounge during the day only to highlight the rich upholstery, pastel shades of decor and polished wooden flooring, and live music is available during evening cocktails. Broadband internet work station in English and Japanese is a new addition to the Continental Club Floor. The Club library also features a wide selection of newspapers, magazines and reference books available for guests' reading pleasure.